If you have a broken or leaky window or are just ready to upgrade to energy-efficient windows, Northshore Window and Siding is the replacement window company to call! We have over 24 years of experience as door and window contractors, and we’d love the opportunity to work for you. You can place your trust in our experience for a professional, complete window replacement. Northshore Window and Siding has an excellent reputation for punctuality and customer satisfaction, so you know we’ll do your window replacement job efficiently and thoroughly! 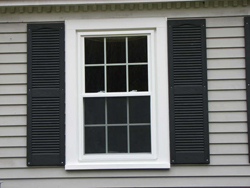 Northshore Window and Siding works with all types of replacement windows, from double hung to sliding. 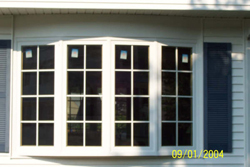 We specialize in replacement vinyl windows, but we can also work with wood or aluminum windows. 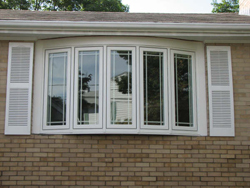 We also offer storm windows. No window replacement job is too big or too small for Northshore Window and Siding. Whether you need a single window replaced due to breakage or every window in your house redone, we’d be happy to tackle the job. If you’re looking to reduce your energy costs, Northshore Window and Siding highly recommends fully insulated windows with high performance glazing. You’ll be surprised at how much new windows will decrease draftiness and improve the temperature retention of your home! Replacement windows are a great investment, since you earn back so much of your initial outlay in reduced heating and cooling costs! Our customers particularly favor Harvey windows. Available in styles ranging from double-hung and casement to bay, picture, and awning windows, Harvey windows are known for their reliability, energy-efficiency, and attractive appearance. These windows are custom sized to fit practically any home. 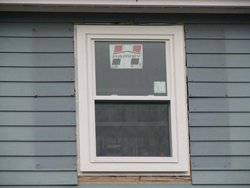 Northshore Window and Siding would love to bring you the popular performance of Harvey windows: call us today to learn more about replacement windows for your home.